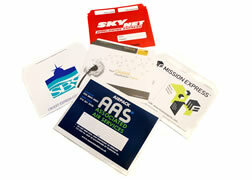 PAC 3000 supplied its very first Courier Pouch / Flyer back in 1992. More than 20 years later we are pleased to still be supplying many long standing Courier customers, both in UK and overseas with their consumables and packaging requirements. 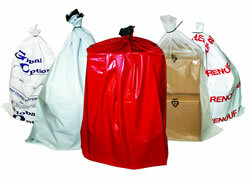 During this time there have been many technical improvements and product development with polythene products. In particular, modern technology has enabled the production of Courier Pouches / Flyers and Courier Sacks / Bags with significant reductions in film thickness, without sacrificing product strength. Not only is this environmentally responsible but also means cost savings to our customers. Whilst the majority of our polythene products are printed to our customers needs, we recognise the convenience and demand for unprinted products available with a minimal MOQ. 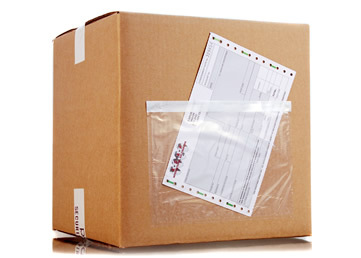 Therefore, we can deliver next day from stock a comprehensive range of Courier Pouches / Flyers, Courier Sacks / Bags and Board Envelopes all without printing. 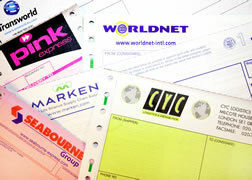 Available for next day delivery are also two sizes of Window Envelopes. 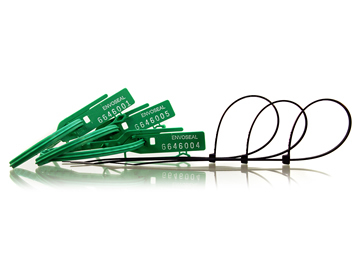 For the safe and secure transportation of Courier Sacks / Bags we can supply either Cable Ties or Security Seals. Many customers no longer use a multi part Airway Bill but for those who do we can still supply. 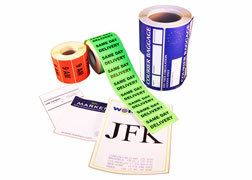 Many Airway Bills have been replaced with bar coded labels and we are able to supply a comprehensive range of either sheet labels or roll labels.